AGEING FEARLESSLY FOR WOMEN – On sale now! Are you prepared to think of your age as simply a number – and then defy it? At long last, here is a book for people who want to smash the perception of age and live long vital, healthy lives doing what they have always wanted to do – and not what society considers is “age appropriate”. Having spent many years exploring different ways to slow the ageing process, Karen has cracked the code on ageing, unlocking the secrets to ageing fearlessly, taking her readers on a journey that will guide them to live the life you have always wanted, not one determined by their age. If you are looking for ideas on how to create real change and improve the odds of leading an active, fun and long life, this book will spark your imagination and fire you up to get started. 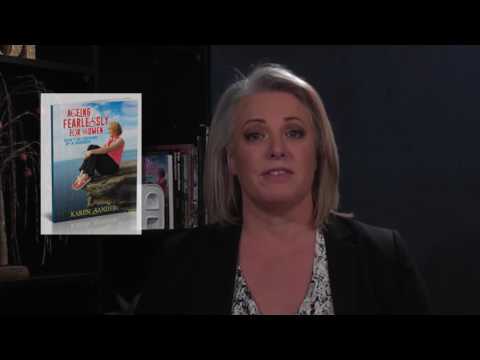 Listen to a testimonial about Karen’s new book – Ageing Fearlessly For Women.